In all of her programs, Page emphasizes creative experimentation in a safe, collaborative and fun environment. 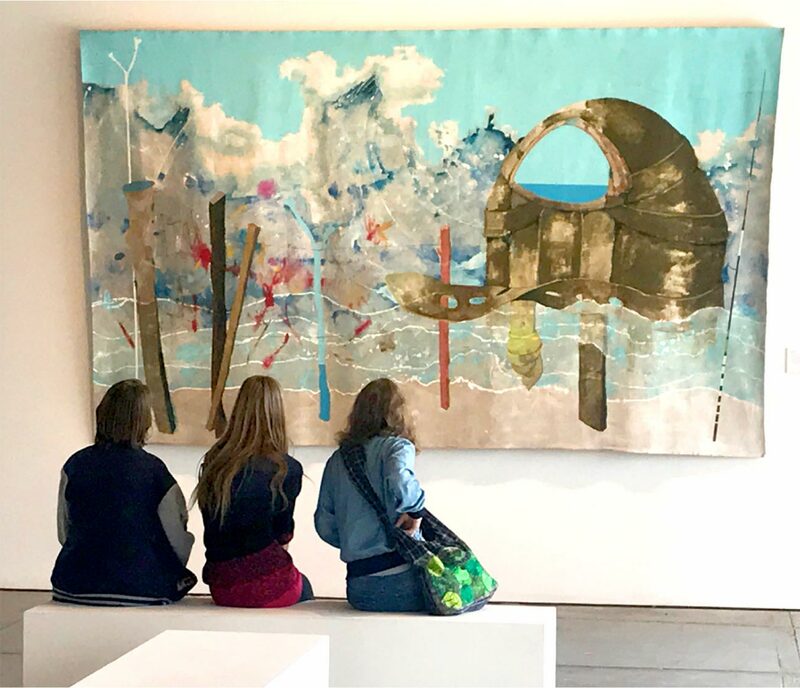 Students of all ages have the freedom to explore their ideas and passions in an open studio environment. 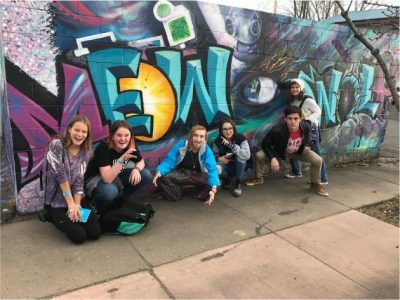 Open Window Studio’s Art Travel Program gives middle and high school students the opportunity to immerse themselves in the art world of another area. 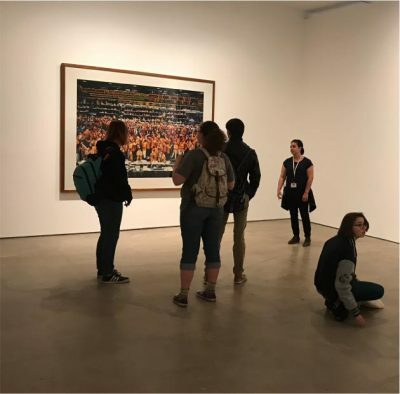 The art excursions are an opportunity for students to immerse themselves in the art world of a different area. We spend our days visiting world famous art museums and out of the spotlight art galleries. We visit artist studios to get an inside picture of the artist’s process and, when possible, participate in an art class at a local art college. In the evenings we stay in a private home where we have plenty of down time to process the day and relax. We make art, watch movies and eat home cooked meals. Each excursion is limited to 8 students, allowing for a quality community experience. Page Zekonis created Open Window Studio in 2003 with the intention of teaching a few art classes out of her painting studio. 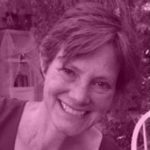 She has since developed studio programs for all ages and an art-focused travel program for youth. When I created Open Window Studio I had no idea that teaching would grow into a passion that is as strong for me as my passion for making art. The two are now inextricably linked. I love helping people of all ages find their creative voices and have grown as both a person and an artist by doing so. Over the years, I have become especially interested in working with middle and high school students and have developed an art program specifically for this age group. In addition to Guided Open Studio classes, I am now offering week-long art excursions to other cities. In 2019, we will visit Washington, DC, Baltimore, Philadelphia and Santa Fe. An integral part of Open Window Studio is my collaboration with ceramic artist, Sue Allman. In 2005 we co-founded Open Hands Art. It began as a summer art camp (Open Hands Art Camp) and has now grown into a collaboration of after school art classes, all day art classes and adult classes. Please feel free to contact me with your thoughts and ideas. I would love to hear from you! Traveling with Page allows students to be artists in the world of art that can only serve to inspire them to go further, to use their talents to seek that place they can call their own. Thank you, Page! I can’t recommend this program enough! Our hearts are filled with gratitude for Page. As someone who is trying to figure out their future after high school, spending time in an art school or with people who work every day in art for their career was really interesting and helped me gain a new perspective on how art can impact me and my life. Page is an artist, teacher and above all, someone who is genuinely passionate about sharing her brilliance with our community’s youth. This kind of rare combination is an amazing gift to our community and not to be missed! YES! Please email me once per month maximum. YES! Please also e-mail me about special classes.